The Casio Edifice EF550 RBSP Red Bull Men's Watch is a stylish and highly functional chronograph for men. 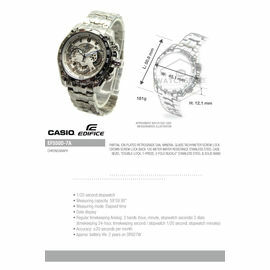 This watch combines amazing looks with a host of features, making it a remarkable time piece. 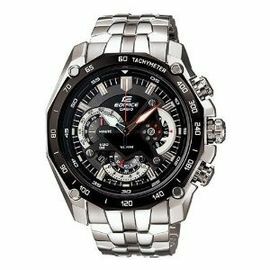 The case and the band of this Casio watch have been made using high quality stainless steel, which adds a great amount of strength and durability to the watch. Kept black in colour, the round dial of this watch complements the silver coloured case and band beautifully. 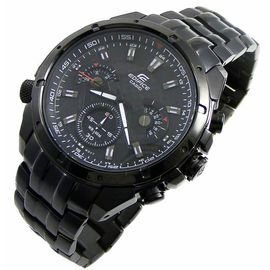 The dial features luminous markers and hands which ensure that the readers can easily use the watch even in the dark. The case window is made of hardened and scratch resistant mineral glass which ensures complete protection to the watch against any impact. 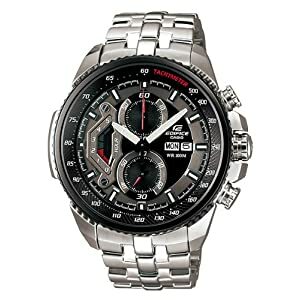 A tachymeter has been featured around the dial. The case back has been kept solid and features a screw lock. This arrangement provides great protection to the watch machinery. 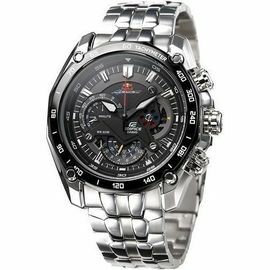 The Casio Edifice EF550 RBSP Red Bull Men's Watch is water resistant for over 100 meters or 10 Bar pressure of water, making it perfectly suitable for divers and swimmers. 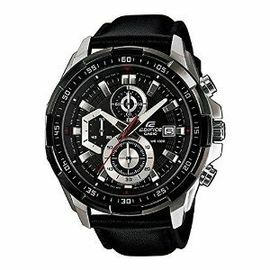 This watch is equipped with Quartz movement which provides precision in time telling. 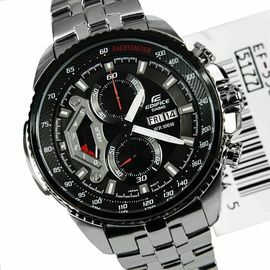 Along with the regular time keeping operations, this watch also features a minutes' display, a stop watch function and a date display. 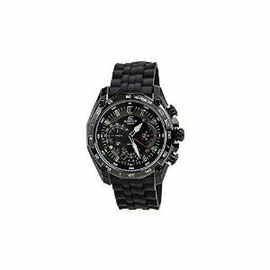 The stop watch display featured in this time piece has the capability of measuring elapsed time of up to 1 hour. 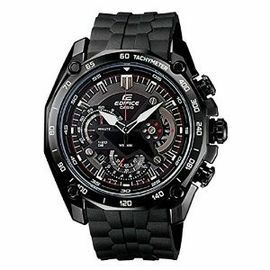 Order the Casio Edifice EF550 RBSP Red Bull Men's Watch online and get high utility with amazing style. Amazing seller A *****, nice packing recvd sealed pack box.